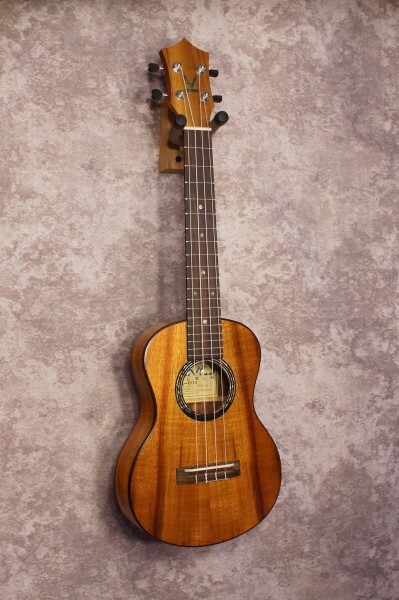 Kumu Feather Tenor Ukulele TF72. 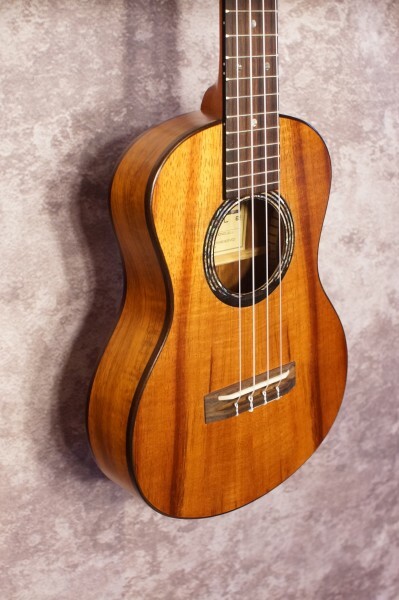 Koa. Our newest find that we're excited about! 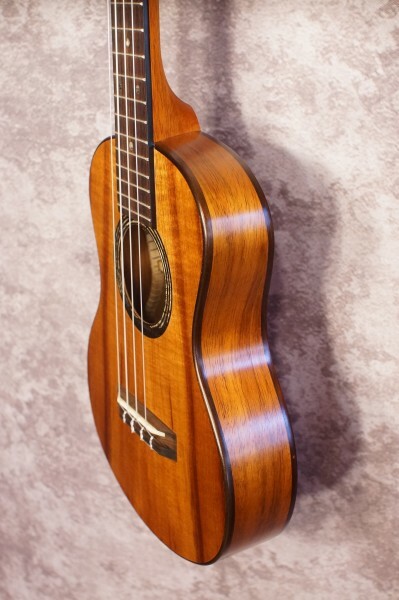 This unusual ukulele has a thin body which is very comfortable to hold and play, but the tone is deeper and richer than you would expect from a thin body. 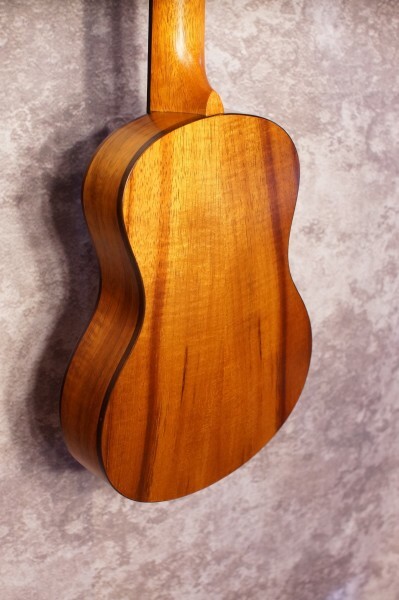 Golden translucent finish is very striking. 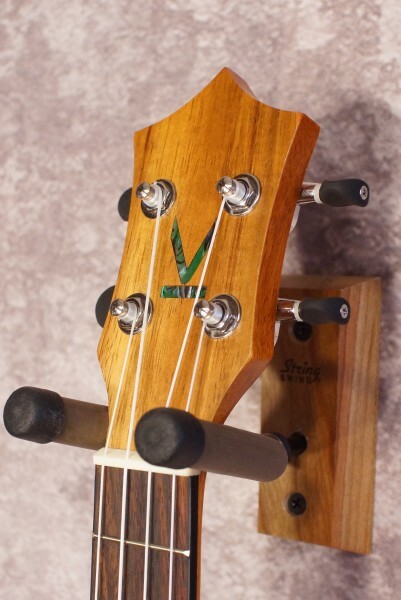 Kumus tend to have slightly wider fingerboards which give many players some much needed finger room.